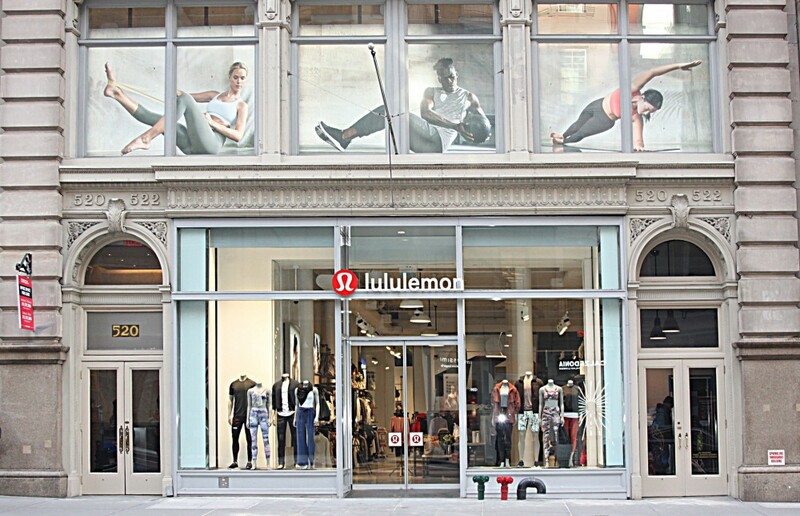 Lululemon, the athletic apparel chain for fit men and women, opened its first yoga studio in SoHo, New York. The Canada-based retailer is known for holding yoga classes in stores among the merchandise. The 9,230-sq.-ft. store at 520 Broadway has plenty of space for an actual studio. The SoHo Lululemon store is just a 5-minute walk from the ALO Yoga SoHo store which also has its own studio. For anyone living in the area, they’re in luck with accessibility to brand sponsored yoga instructors and ambassadors. 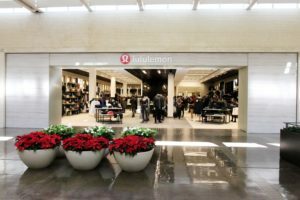 Vancouver, British Columbia-based athleisure brand Lululemon has announced a new partnership with Penguin Random House to launch a mini-library space within its HUB Seventeen community space in New York. Home to more than 1,000 books from Penguin Random House, the small space is installed alongside the active retail floor. The concept aims to express the brand’s commitment to the ongoing casualization trend. The library pop-up, which is populated largely with literature on wellness and self-improvement, spans one wall of the store and is outfitted with two reading nooks appointed with velvet benches and pillows. Lululemon is doing well selling its patented-fabric activewear, but its broader achievement is in elevating the brand to a lifestyle proposition.